This grilled pizza is a great way to use up any leftover barbecued or grilled chicken. The barbecue sauce and poblano chili give this pizza a great combination of flavors that are both sweet and spicy. Preheat grill. Divide dough in half and roll each half into 8-inch circles on a floured surface. Carefully place crusts on hot grill and heat for about 1 to 2 minutes or until they begin to brown. Remove crusts from the grill. 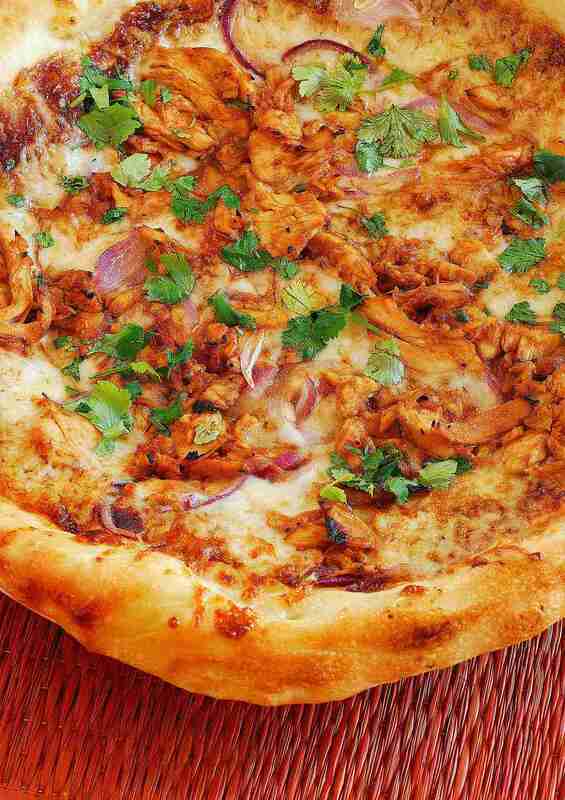 Apply toppings, first starting with barbecue sauce, then shredded chicken, sliced poblano chilies, sliced red onions, and finally finishing with cheese. Carefully return to grill. This is easier if you use a cookie sheet to carry the pizzas. Close lid and continue grilling for about 2 to 4 minutes or until the bottom has browned and cheese is melted. Serve garnished with chopped parsley.